At any Mardi Gras celebration you will notice that three colors seem to take center stage. Purple, Green & Gold (often abbreviated PGG) are the official colors of Mardi Gras. Purple: Justice Green: Faith Gold: Power. As a side note, Metallic Gold and Golden Yellow are both acceptable for Mardi Gras colors, but true Mardi Gras lovers would certainly use a glittery, glitzy metallic version whenever possible. Flashy, tacky and over-the-top is a hallmark of Mardi Gras! 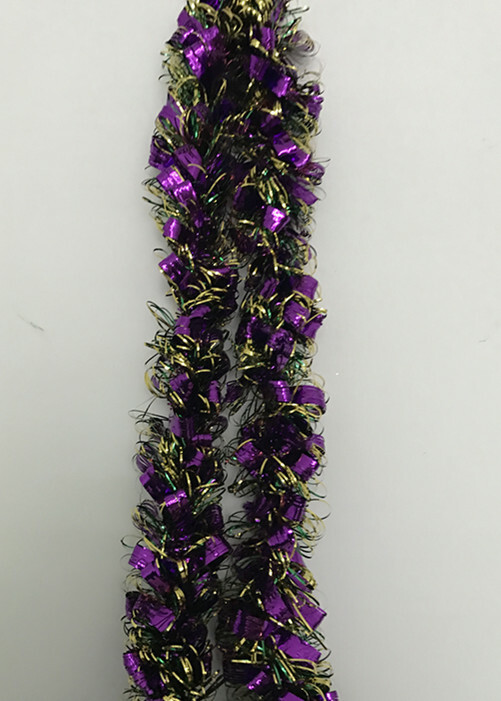 Metallic purple and gold loops radiate out from the center of this 9′ long garland. 3″ round diameter. Find more Mardi Gras Door Garlands at LEGO PARTY! Hope you like our products!